Why Choose Laser Teeth Whitening? Laser teeth whitening at Floss Family Dentistry is an effective way to brighten your smile. Although treatment time may depend on the intensity of the discoloration, this advanced procedure is faster than conventional teeth whitening methods and will easily accommodate your busy schedule. As part of our new laser dental services that also include gum therapy and pain management, patients benefit from reduced discomfort and better results. Dr. Chattha will be happy to explain the laser teeth whitening process and offer an individualized treatment plan for you at our office. 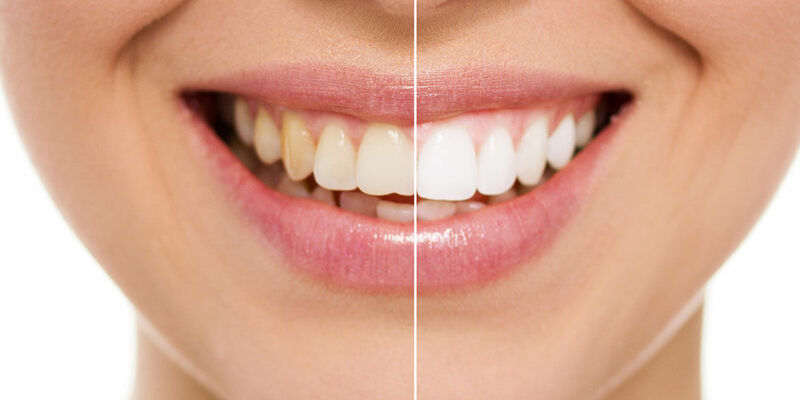 At Floss Family Dentistry, we go beyond providing you with teeth whitening treatments. We also educate you on how to make the results last longer. Avoiding dark-colored beverages and teeth-staining foods as well as regular cleanings and follow up treatments every six months can help you maintain a bright and healthy smile. At Floss Family Dentistry, we offer comprehensive dental services for patients of all ages. From cosmetic treatments to preventative care and restorative procedures, we focus on understanding your needs and providing you with the best care. You can count on our dentist, Dr. Chattha and her experienced team to look out for your oral health, safety and comfort at all times. Check out our promotional offers like teeth whitening and enjoy a beautiful smile. Our relaxed, friendly atmosphere and professional care will make you feel welcome.